This UNESCO World Heritage Site is one of the world’s most striking Roman cities. At the end of the 2nd century AD, a native of Lepcis, Lucius Septimius Severus, became Emperor at Rome, and lavished on his home town a development scheme to match the very best in Rome itself. You can walk through the Severan Forum, the basilica and the streets of the city and get a real feel for imperial grandeur. It even has a well-preserved port with quays, warehouses, mooring-rings and a lighthouse. 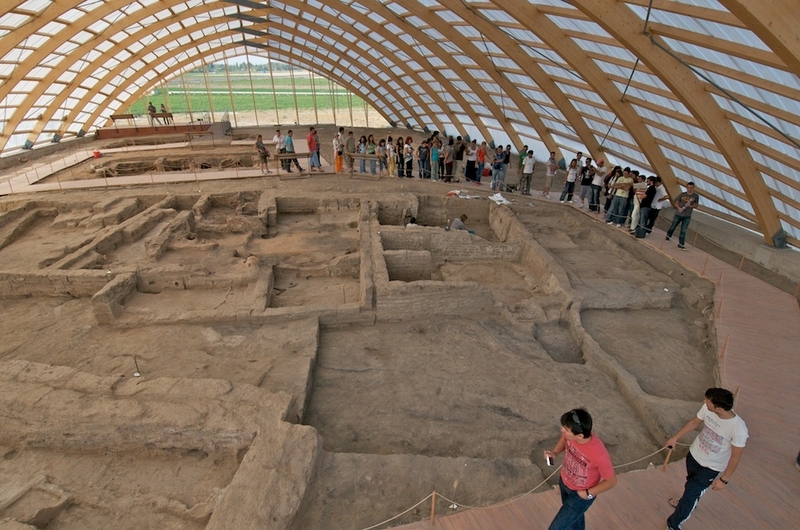 Çatalhöyük was discovered in the early 1950s by James Mellaart, and originally excavated between 1961 and 1965. The magnificent paintings and artefacts he uncovered, such as the famous Mother Goddess statue – now on display at the Museum of Anatolian Civilizations in Ankara – ensured that the site swiftly acquired international fame. The quantity and quality of artwork and symbolism is rare for such an early site, and emphasizes the existence of a thriving community subject to complex social organisation. 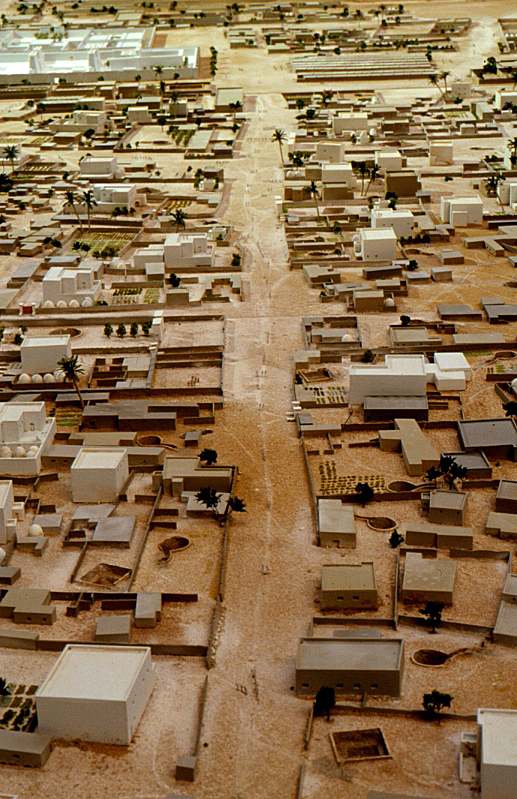 The best surviving example of an ancient Egyptian city is Amarna. 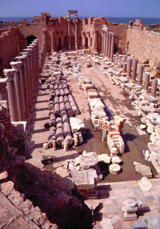 This was a very short-lived city, laid out by the ‘heretic’ Pharaoh, Akhenaten, who did everything differently. He renounced the multiplicity of Egyptian gods in favour of a single god, Aten, whom he identified with the sun. But above all he abandoned the ancient city of Thebes (Luxor) and set up a grand new city at Amarna, 200 miles to the north, halfway between Thebes and the northern capital of Memphis, just outside modern Cairo. 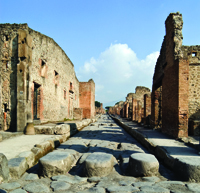 Pompeii and its neighbour Herculaneum are among the oldest archaeological sites in the world. During 250 years of excavation at Pompeii, about 44ha of ruins (including 20,000m2 of wall paintings) have been uncovered, and more than 11,000 painted or incised inscriptions found. The volcanic eruption that buried the city also preserved it to the present day, and you can wander its streets and houses in the ancient footsteps of its former inhabitants. Leonard Woolley’s excavations at this ancient Sumerian city in southern Iraq – or Mesopotomia, ‘the land between the two rivers’, as it was then known – in the 1920s and 1930s uncovered 16 burials of exceptional wealth. These ‘Royal Tombs’ comprised sunken stone chambers with vaulted roofs, approached down steep ramps cut into the earth. Most had been robbed, but even these often still contained extraordinary treasures. One rich tomb, that of Queen Puabi (known from a seal buried with her), was found intact. The Northern coastal strip of Peru is not well-visited, but it should be. Since the discovery of the Lords of Sipan, an array of other sensational sites have been discovered or revisited. At least 400 ‘important’ sites have now been identified in the region, of which 15 are under investigation. With an embarrassment of riches, each site seems to outdo the next. Particular highlights include the Moche sites of El Brujo and the Temples of the Sun and the Moon. Butrint sits in a lagoon on the Straits of Corfu, surrounded by the idyllic blue waters that link Lake Butrint with the Ionian Sea, basking in the glorious warmth of the Mediterranean sun. All around is the unspoilt countryside, protected from modern development since its designation as a World Heritage Site. Ideally situated to take advantage of sea-faring trade, Butrint prospered as a Greek colony, a Roman city, a Byzantine port and, briefly, a Venetian outpost, before it was finally abandoned in the Middle Ages.